I remember 1992 (yes I am that old!) and seminal Progressive Metallers Dream Theater releasing their incredible second album ‘Images and Words’. It was something of a groundbreaking release with the incredible musicianship and songwriting making a huge impact on my life. I followed the band for many years with superb release after superb release, ‘Awake’, ‘Falling Into Infinity’ and the marvellous, innovative brilliance of ‘Metropolis Pt2 – Scenes From a Memory’. I first saw them live on the ‘Train of Thought’ tour in 2003 and was blown away by the majesty of their show. The last great album they released, in my opinion, was 2005’s ‘Octavarium’ and, sadly for a big fan like me, they seemed to peak then, both on record and as a live event. I’ve been waiting for a long time for an album of pure progressive metal to come along and blow me away like ‘Images and Words’ did in 1992, one with some great songs and wonderful instrumentation, I like an extended guitar solo as much as the next man! There have been some near misses but none have really come close. 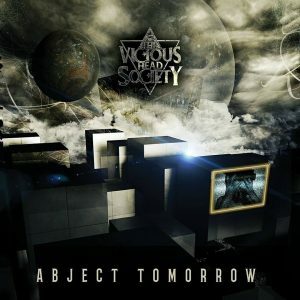 Funnily enough, it was one of my old fellow Dream Theater fans, Laura McCoy who put me on to Graham Keane and The Vicious Head Society, sharing a video of a track from the debut album ‘Abject Tomorrow’ and it piqued my interest more than enough to want to hear the whole thing. The Vicious Head Society is the brainchild of Irish guitar virtuoso Graham Keane. Debut album ‘Abject Tomorrow’ initially started as a pet project around 2010 after returning to the Emerald Isle from music school in the UK. Keane was tutoring aspiring musicians when he decided to start writing original material purely as a self gratifying project. He figured that living in a remote area of Ireland with not many musicians interested in his style of music, metal, hard rock and prog, he would be best to forge ahead alone. As with many creative types Keane had a very laid back attitude about the whole thing and on many occasions just sat there noodling on his guitar while life passed him by. It wasn’t until his wives cancer diagnosis in 2013 that he started to take things a bit more seriously. The shock of realising his own mortality threw Keane into action. An urgent keyboard note introduces you to The Sycophants before some powerful and edgy riffing, joined by dynamic drums takes over. A monstrous riff erupts from the depths of the earth to pound you with its ferocity and then the vocals kick in, hard-edged and forceful. This is no frills prog-metal, you get what you see and it is all the better for it. Throw in some brilliant guitar runs and the odd solo that burns like a solar flare and you couldn’t really ask for much more, actually you don’t need to because Graham gives it to you anyway. Well thought out songwriting and his emotive vocal give real class to the song, add in an cleverly intricate instrumental section (dare I say it, emulating Dream Theater themselves), a thunderous close-out and you’re left admiring a really good opening to the album. So, now onto the title track, Abject Tomorrow begins with a really skittish, staccato riff that has a feel of unease to it, the progressive drums pounding along in union. A coruscating guitar fires up into the heavens before things calm down, an uneasy silence broken by some rather dark and hushed vocals. I’m on the edge of my seat with anticipation before the powerful chorus erupts from the quietude, an emotional depth emanating from Graham’s vocals. The guitar note almost seems to be speaking to you when the darkness returns tenfold with some harsh vocals giving a proper demonic tone and an ominous counterpoint to the grim hope that the haunting chorus seems to give. Cue extended guitar solo and a bloody good one at that. This song really does seem to be clash between darkness and light and you find yourself caught up in the tumultuous conflict, like a musical version of Lord of the Rings, fantastical and nightmarish. A conflict that seems to span the ages, neverending and the stylish close to the track seems to echo that in eternity. Downfall has a subdued opening, all swirling, sci-fi keyboards before the tension starts to build. Graham’s heartfelt vocal takes centre stage, a stirring delivery backed by some stylish bass playing and it gives real heart and soul to the song. A harsh vocal delivered over some elegant keyboards really gives an out of this world aura to the song. The juxtaposition between the earnest, fervent clean vocals and the alien feel of the harsh voice really works, one complementing another. As the song comes to a close a granite-like riff gives an elemental quality and the vocals soar into the distance almost like an out of body experience, a compelling and passionate track that really touches your emotions. I have to admit that I’ve been impressed so far and the next track just adds to that in spades, Agenda opens with yet another impressive and uber-heavy riff, one that could shatter mountains I’m sure! But it’s not all about the intensity, there’s intelligence right at the heart of this music too (got to say I love the riffs though! ), the songwriting and musical ability is excellent and every note is there for a reason, even if it does strip paint at forty yards. The dynamism of the music and the addictive chorus work together perfectly to add lustre and vitality to the compelling songs. I am not a lover of the harsh, cookie monster vocal delivery but it really works on this album, Graham seems to have got the balance perfectly right. As for the guitar playing, well it is one of the most influential aspects of the album and what lifts it above the merely good and gives an almost cinematic scope to every track. As you get towards the end of the song it goes all intricately progressive on you before a calmness envelops all and then we are treated to a crescendo of an ending, a stirring and affectional guitar fading out to the close. A hushed voice and keyboards open The 11th Hour, a feeling of treading water as if you’re waiting for something to happen. Falsetto vocals arrive along with another epic riff from the bowels of the Earth, everything has an anthemic feel to it, music for the ages, from the ages. There’s an uplifting delivery to the vocals yet one that has a pleading undertone, more mixing of the harsh with the clean, once again to good effect and then a more jazzy instrumental section where the bass takes on a funky tone and the guitars a more stripped back feel. A real melting pot of musical styles that deliver a vigorously immersive listening experience, Devin Townsend meets Queen in some strange parallel Universe and they join up with Faith No More and Metallica for a jam session. It’s hypnotically brilliant and quite mesmerising. Psychedelic Torture Trip is just under four minutes of fast paced, elaborate instrumental showboating and it’s thoroughly enjoyable. If you can play instruments as well as this then why shouldn’t you have a bit of fun while doing it? It brings back memories of tracks like Erotomania by Dream Theater and the like. Just sit back, press play and enjoy the virtuoso music laid before you. Granite like riffs that feel as old as the earth and weight more than the planet we live on? check, that’s what you get at the start of God Of The New Age and it’s almost as if they are being played by celestial beings. This is a riotously compelling song where the heaviness of the music doesn’t detract, it is absolutely necessary and gives emphasis to the vibrant keyboards, energetic drums and Graham’s charismatic vocals. 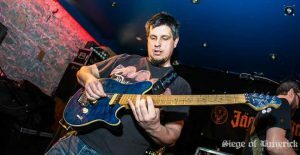 The thunderous guitars and crushing drums that close out the song along with some rather stylish keyboards are utterly compelling, just turn up the volume and enjoy this utter prog-metal fest! 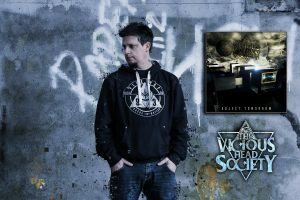 The epic nineteen minute album closer Analogue Spectre is a nod to the great progressive metal acts of the past, Graham channels his inner Symphony X, Dream Theater and Fates Warning and yet gives everything his own twist to make it uniquely The Vicious Head Society. A slow burning opening builds up the tension before a heartfelt guitar fires out of the gloom and the shackles are off, a more subtle riff and then Graham’s hushed vocal give an almost symphonic metal feel, this is rapidly blown away by the increasing intensity of the riffing and drums and the vocals taking on a more urgent tone. This is music that grabs your attention with its ebb and flow between the restrained and controlled and the potent and persuasive and it’s a fascinating counterpoint. 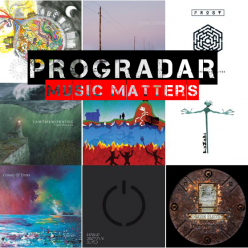 You’ll get blind-sided by some utterly spellbinding and complex instrumental progressive sections that seem to find their way out of more blind alleys than is really possible. Note perfect and yet ferociously perplexing and convoluted, it’s all you can do to keep up. Follow this up with some laid back, chilled, calm and collected parts and you are being treated to a whole gamut of musical emotions that your mind is manically processing to try and keep up with. The uplifting, almost symphonic metal vocal that follows is utter class and gives a real gloss to the track. This song is like a tapestry that displays the whole range of musical emotions (including salsa, yes… salsa…) that Graham is capable of and leaves me speechless in appreciation. It is 25 years since ‘Images and Words’ first graced us with its presence and we have been given a plethora of Progressive Metal albums since, some very good but most not so. I don’t think I’m speaking out of turn when I say that ‘Abject Tomorrow’ is one of the best I’ve heard in that quarter of a century and deserves to be named in the same breath as ‘I&W’, it really is that good. 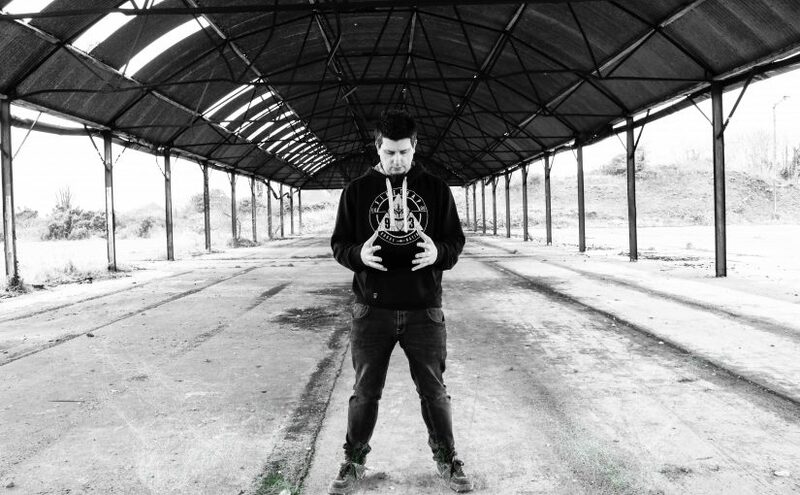 A prog-metal masterpiece for the 21st Century, Graham Keane and The Vicious Head Society have only just begun their journey to the top of the genre but are already well on the way there. Buy ‘Abject Tomorrow’ on CD from the band.